Our tongues are covered with extremely well designed flavor sensing machines. Each one of our nearly 10,000 taste buds sends complex messages from our tongue to our brain with every bite and sip we take. They help us avoid eating unpleasant things. They fuel our cravings. If we pay close enough attention to their signals, we can pick out even the most obscure flavors. But here’s the thing, you don’t need a trained palate or arsenal of adjectives to know what tastes good. Remember the last thing you tasted that was mind-blowingly delicious? Did it bring up a specific memory? Did it challenge your perceptions? Did it surpass your wildest expectations? After experimenting to develop the perfect coffee rum recipe, we’ll never forget our reactions to tasting Hue-Hue for the first time. As we brought the glass up for a sip, dark chocolate and baking spices dominated our senses. The aromatics transported us to rich volcanic Guatemalan hillsides where the coffee for Hue-Hue is grown. It was robust, acidic, and unmistakably coffee. With the first sip came something more tropical: a hint of banana and ripe stone fruit, and we found ourselves on white sand Caribbean beaches; rum country. The finish was all chocolate covered raisins and that familiar moment of your entire body waking up with a warm cup of coffee. We were back home in the beautiful Pacific Northwest. The taste of Hue-Hue is a direct result of the real-life journey each of our ingredients takes before they reach us. The contents of a bottle of Hue-Hue Coffee Rum are simple: silver rum, cold brewed coffee, and 4 grams of demerara sugar. We rely only on the highest quality ingredients possible. And unlike other coffee flavored spirits on the market, we never use preservatives, artificial colors, flavors or sweeteners, essences or extracts. Instead, we carefully harness the best qualities of real ingredients, and the proof is in the taste. Our premium silver rum is Carribean sourced and distilled from molasses – a perfect velvety smooth base with more character than, say, grain vodka. A great rum should be naturally sweet without being sweetened, so we don’t add any sugar to the rum base. It’s notes are pleasantly floral and distinguishably tropical. The coffee used for Hue-Hue is grown and harvested from the rich volcanic soil hillsides of Hueheutenango, Guatemala. This remote coffee region is renowned for producing some of the finest coffee in the world. 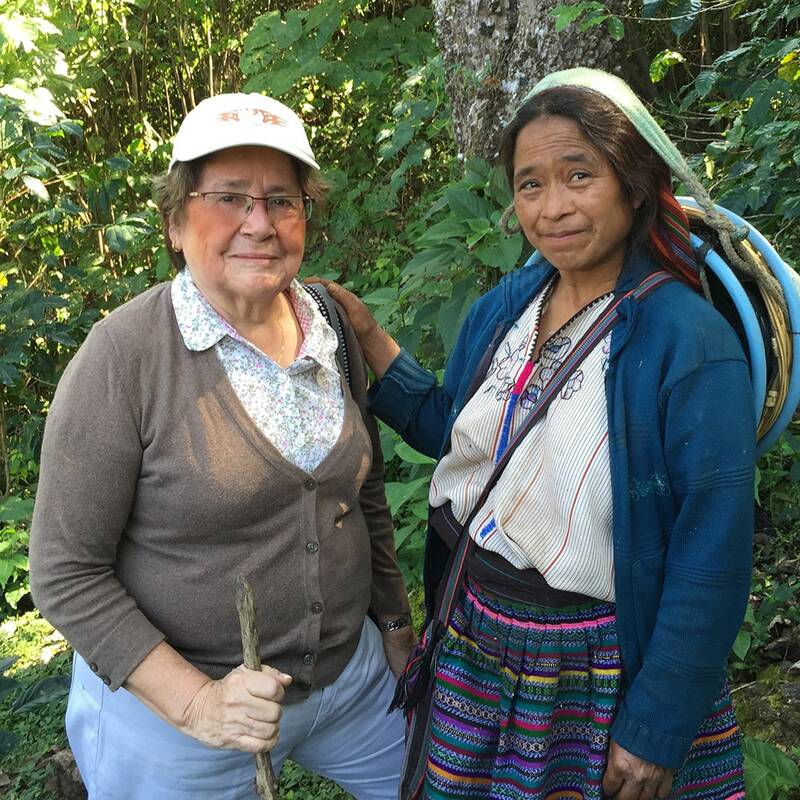 All of the coffee we use for Hue-Hue comes directly from the female owned and operated Finca El Paternal estate under the direction of farmer Miguelina Villatoro. Each coffee cherry is hand picked at just the right time and the outer fruit is removed exposing the green coffee “bean” inside. 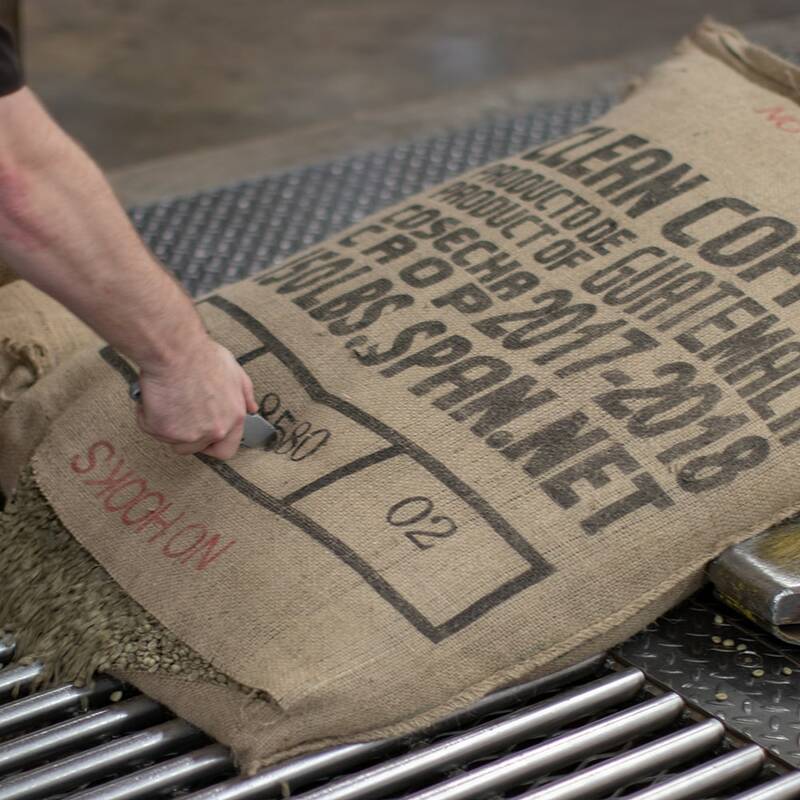 The green coffee is then loaded up into jute bags 150 pounds at a time to prepare for its long journey to Portland, Oregon. Oregon’s pioneering spirit has led to countless homegrown innovations – from a running shoe turned global empire to a craft beer community continuously pushing the limits of hops. At Eastside Distilling, we’re dedicated to living up to the innovative heritage of the Pacific Northwest. With our earliest Hue-Hue experiments, we decided to marry the two things we love the most – great rum and expertly roasted coffee!! 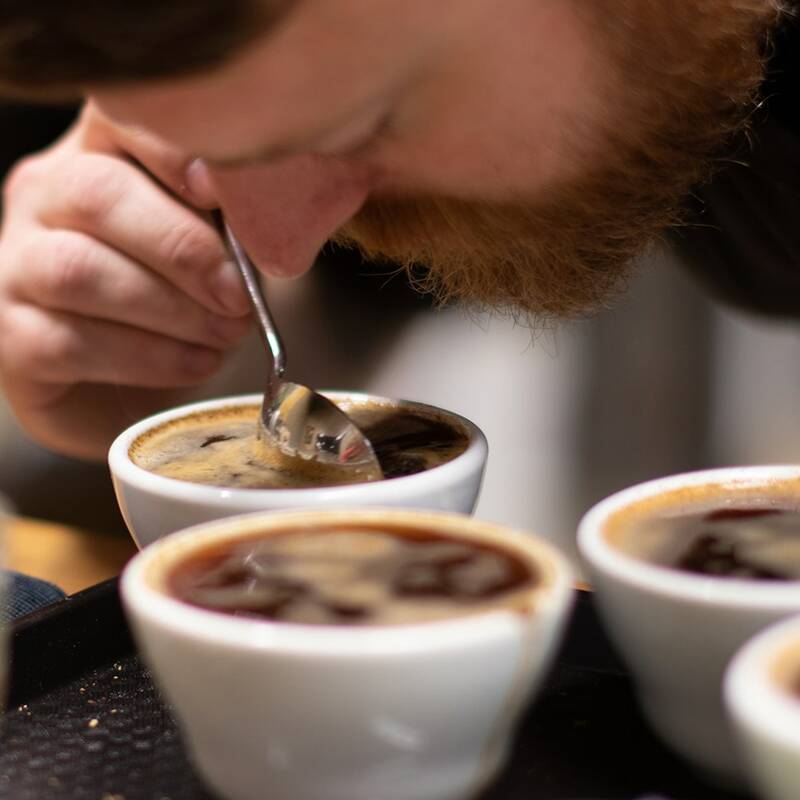 When it comes to great coffee sourced and roasted at the highest quality standards imaginable, it doesn’t get much better than Portland Roasting. Their large roasting facility in the heart of Southeast Portland is a stone’s throw away from our original Distillery Row tasting room. Plus, they set up a direct trade relationship and a real life friendship with Miguelina, forming a steady supply of excellent coffee and a shared dedication between Finca El Paternal and Portland Roasting to constantly improve practices and fund innovations. Pretty cool. They supply us with a roast profile perfectly designed to highlight the exact flavors we’re looking for to craft our in-house cold brew. This is not achieved with fancy machinery but slowly brewed in an unassuming stainless vat and stirred slowly with a paddle before steeping for 48 hours. After steeping, the grounds are gently pressed and removed from the brew by slow siphoning. The result is an expertly balanced extraction of all the things we love about this coffee. We began this process naively thinking we were breaking glass ceilings in the rum category, and maybe we did, but by the end realized that we didn’t just elevate rum, we created a never before seen platform for elevating coffee. Hue-Hue was an original. There’s no one right way to drink Hue-Hue Coffee Rum. If you’re like us, you won’t be able to stop yourself from adding a smidge to just about everything. 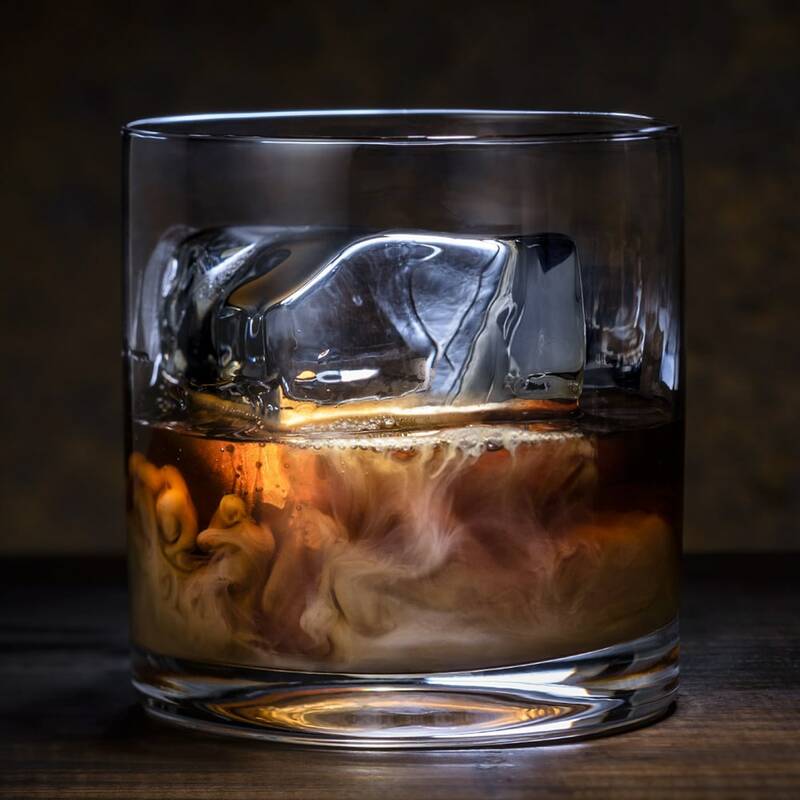 Try it over ice with a little cream or almond milk – in a cocktail, you’ll welcome the 70 proof strength and bold coffee influence and if you’re feeling adventurous pour it over a heaping scoop of ice cream. Check out the cocktail page for more coffee inspiration.